Going to Properties Menu after right clicking on the taskbar. Check the box against the option ‘Show my desktop background on Start’. 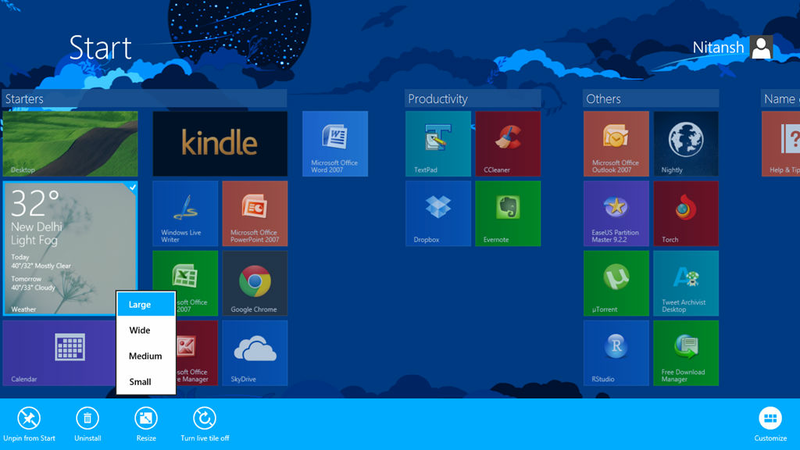 The Tiles in the Start Screen can be totally personalized by their size and arrangement in a group. To resize a tile, right click on it and select Resize option. 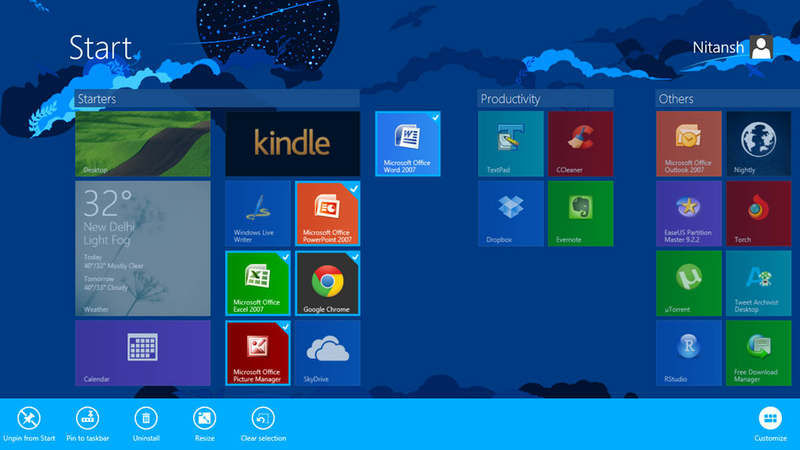 Depending upon the tile, its functionality and whether its live or not, you can resize them in following sizes- Apart from resizing, right clicking a Tile also gives you option to Unpin Tile from Start Screen (You will still be able to access them through All Apps Menu), Uninstall it, is its live tile then you can turn it off as it will constantly hog your internet connection, for programs you get more options such as Running them as administrator, opening their location, etc. The tiles can be put in a group so that it’s easier and quick to click a program when you know in which group it would be. 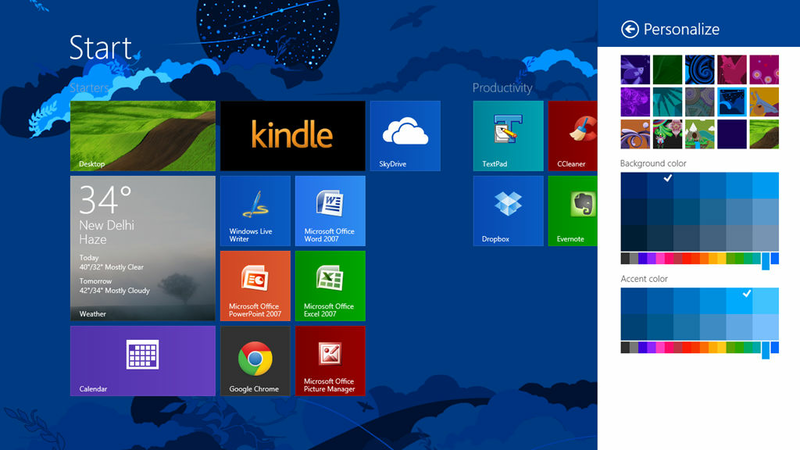 To regroup the tiles, Right Click in the free space in the Start Screen and select Customize. You can also right click multiple tiles to select and then drag and drop them together to a new group. You also get the option to name the group. 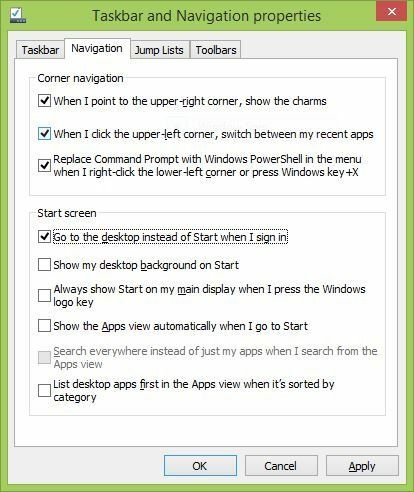 While all the above-stated changes to Start Screen is refreshingly good, they can’t make up for the Start Button functionality of Windows 7 and previous versions allowing users one-click access to any of the apps installed. While the same can’t be replicated in Windows 8.1, it does gives you an alternative to open All Apps Menu whenever one clicks Start Button (Don’t worry, if one in a while you wish to see Start Screen, you can do so by clicking upward arrow from All Apps Menu). To activate this option, you’ve to open the Taskbar and Navigation properties, which we accessed in Changing Background option as well. Here, simply check the option which says ‘Show the Apps view automatically when I go to Start’. Also uncheck the option beneath this option ‘Search everywhere instead of just my apps when I search from the Apps view’ to make sure that searching in the Apps view will show you related apps only and nothing else. 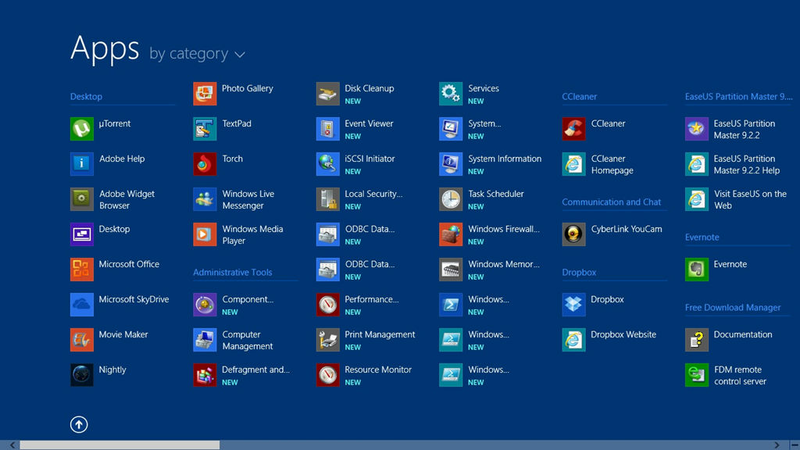 Another tip is to view the apps by category to make it easier to find the app(s) you’re looking for speedily and also enable the option in Taskbar and Navigation properties to ‘List desktop apps first in the Apps view when it’s sorted by category’.